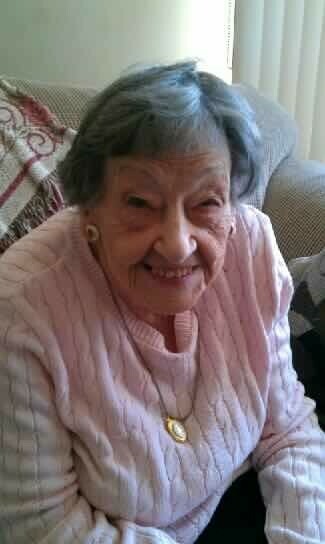 Pasela, Grace M. (Ragno) 97, passed away peacefully on January 31, 2019 at Heritage Hills Nursing & Rehabilitation Center. She was the wife of the late Antoni Pasela. Born in Providence she was the daughter of the late Giiovanni and Ignagia (Olivo) Ragno. She lived in Providence most of her life. Previously living in Cortland Assisted Living in Greenville, most recently a resident of Heritage Hills Nursing Facility. She was a social butterfly and enjoyed music, baking, and family gatherings. She was a member of St. Ann Daughters of Isabella, Rosary and Altar Society, and the choir. She was the beloved mother Karen Cianci and her husband Steven. She leaves her loving granddaughters Dayna and her husband Bret, and Kaitlin and her fiancé Jesse, the great grandmother of Amaya, and Aydyn and several nieces and nephews. Her funeral will be held on Tuesday February 5, 2019, calling hours will be 9:30 to 10:15 A.M. in the A.A. Mariani & Son Funeral Home, 200 Hawkins St. Providence, followed by a Mass of Christian Burial at 11 AM in St. Augustine Church, 635 Mt. Pleasant Ave. Providence. Burial will be in Mt. St. Mary Cemetery, Pawtucket. In lieu of flowers, donations in Grace’s memory may be made to St. Augustine Church.